John G. Loughnane, a partner in Nutter’s Corporate and Transactions Department, authored an article in ABA Business Law Today that lists five essential aspects of D&O insurance that counsel should emphasize to clients in the current business environment. In the article, “Five Things to know about D&O,” John evaluated a recent Sixth Circuit opinion, Indian Harbor Ins. 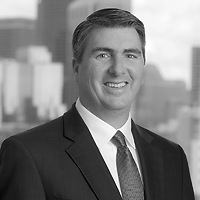 Co. v. Zucker, that highlights the significance of these points and recommends that counsel help their clients drill down into the details of D&O policies as early as possible – well before any sign of distress – to ensure the protection clients think exists will actually be there when its most needed.